TITUSVILLE, Florida - A Brevard County man has been charged in the hit-and-run crash that injured a Titusville boy who was riding a bicycle near the intersection of Alpine Lane and Delespine Avenue in Titusville, Florida on Thursday. 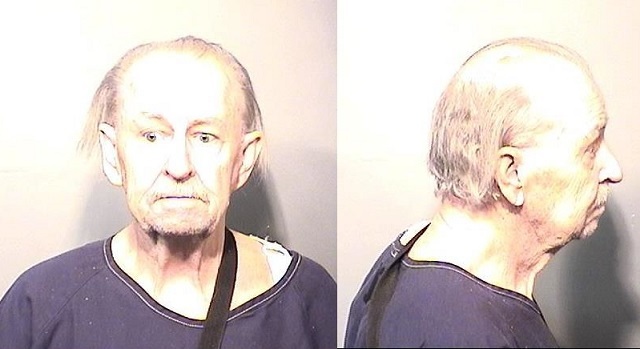 Titusville police arrested 73-year-old Thomas Bernard Glidewell of Titusville on Monday and charged him with leaving the scene of an accident with injuries. Glidewell was booked into the Brevard County Jail and has a $15,000 bond. When Titusville Fire Department crews arrived at the scene of the crash on Thursday, they found eight-year-old Dayshaun Hill to be conscious and wearing no helmet. The vehicle and driver left the scene before police arrived and there was no clear indication as to the speed of the vehicle that struck Dayshaun who had an injury to his head. Dayshaun was deemed a Trauma Alert by the first responders and was airlifted to Arnold Palmer Children's Hospital in stable condition. A short time later, the Titusville Police Department located the vehicle suspected to be involved in the crash. Glidewell had been hospitalized since the crash until his arrest on Monday. On Saturday, Titusville Police Chief John Lau and Titusville City Manager, Scott Larese, presented Dayshaun with a new bicycle and safety helmet at the boy’s home in Titusville. The bicycle was gifted to Dayshaun by the Titusville Police Athletic League. His new safety helmet was donated by the Titusville Police Department. “It was terrific to see that Dayshaun is recuperating nicely and heartwarming to see his family surrounding him”, said Chief Lau. “He is a remarkable young man”, added Lau.